Launched in 1834, L&B is one of the first English cigarette manufacturers with a long and storied history unmatched by most other brands. When it comes to cigarette smoking, you want to make sure that the cigarettes you smoke are of high quality and have been manufactured in the best conditions and highest standards. A good way to do this if you are not sure about the origin of the cigarettes you buy, is to buy them from a place that only sells top quality products. Such a place is Duty Free Depot. Duty Free Depot, an online shop where you will find the best cigarettes and cigars available today, is a great place to purchase your tobacco products. You'll soon find out why. As you will soon find out upon entering the Duty Free Depot website, all products sold on the site (including cigars, cigarettes, e-cigarettes, lighters and spirits) are of the highest quality. In addition, they are all offered at very reasonable prices, which at times may drop even lower, when various deals, coupons or discounts are available. Also, it is highly advisable to buy a large quantity – the more items you buy, the less you have to pay for each item so you can save more. Compared to other stores, prices at Duty Free Depot are very cheap – without compromising the quality of the products. 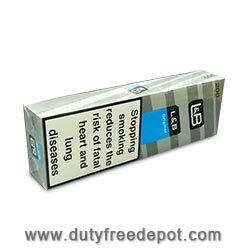 One of the brands offered at Duty Free Depot is Lambert and Butler cigarettes. These popular cigarettes are among the top-selling brands of cigarettes in the United Kingdom. Order them today. Only at Duty Free Depot, We offer worldwide shipping to all corners of the world, including the USA. Order any number of packets, boxes or cartons and have them delivered speedily and reliably. 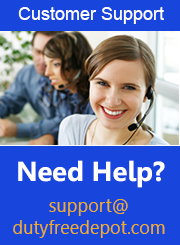 If you should encounter any problem, you can call the customer service, which is available 2:00 AM - 4:30 PM(EST) Sunday-Thursday 1-800-865-7043. Â© 2005, 2016- All Rights Reserved.